Published at Jan 15, 2019. We’re happy to announce that we now provide Help Scout integration with eBay and Amazon. Now you can support all your customers from one clean, easy-to-use platform! ChannelReply delivers all your eBay and Amazon messages to Help Scout, letting you support all your ecommerce customers from one place. It also provides order and customer data and threads marketplace messages. ChannelReply in Help Scout. 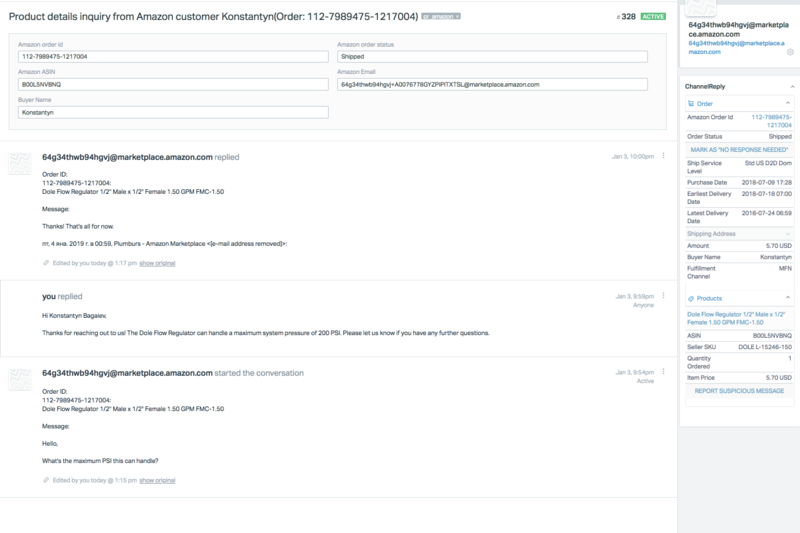 Amazon customer and order data appears in the ChannelReply app on the right. The spotlights on the left show a custom tag and Amazon-specific Custom Fields. No more checking eBay, then Amazon, then one email address, then the next. Help Scout unites all your support in one place—ecommerce marketplaces, email, live chat, even phone support. And its powerful features like saved replies and workflows can do way more than normal eBay and Amazon messaging tools. Start your free trial of ChannelReply and see how much faster and easier support becomes! Or, if you already have ChannelReply, jump straight to our Help Scout integration instructions to connect your account. A conversation with an Amazon customer. Customer and agent replies are threaded into the same ticket. Nothing will derail a train of thought faster than having to switch programs. And if ChannelReply only delivered messages, you’d still have to check Amazon and eBay to find out what the customer ordered, when it’s supposed to arrive, etc. That’s why we also deliver all that info to Help Scout! With all that available on the ticket, odds are good you’ll never need to look at eBay or Amazon to write your answers. But, in that unlikely event, you can use the listing hyperlinks to jump straight to the item in question. No searching required! An eBay return notification generated by ChannelReply. …and everything else generated by either marketplace. On top of that, ChannelReply can ping you anytime you get negative feedback on Amazon. An Amazon message shown in Help Scout's mobile app for iOS. Help Scout doesn’t glue you to your desk. Just log in from your phone’s browser or use their mobile apps to support your customers anytime, anywhere. 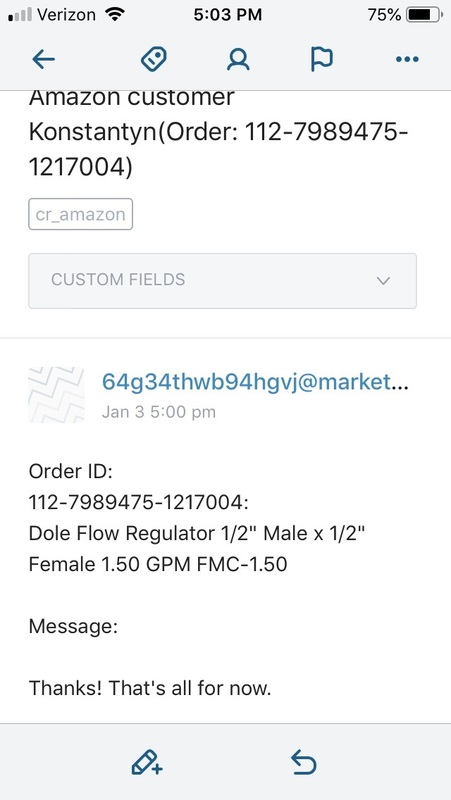 You’ll be able to answer eBay and Amazon messages and view custom fields even if you use Help Scout’s sleek apps, and you can view all ChannelReply data in your mobile browser. Help Scout connects all your standard support channels. 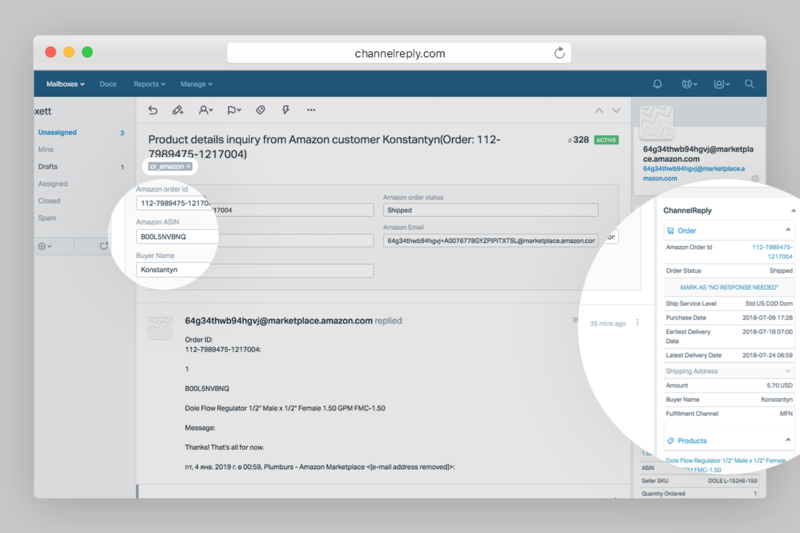 ChannelReply makes Help Scout integration with eBay and Amazon possible. Put them together and you have one awesome ecommerce help desk! Ready to see it in action? Try Help Scout free for 15 days and start your free trial of ChannelReply! Previous Article How to Handle Amazon FBA Returns to Minimize Loss Next Article Should You Use eBay’s Promoted Listings?